Although I recognize that perhaps none of my five children will grow up to be the next C.S. Lewis or Beatrix Potter, I know that they all have a story to tell. And if given the proper direction…if that story is cultivated and nurtured…each of them can develop a delight for words and learn to creativity piece them together with purpose. Here are a few of my GO TO resources (and others that I'd highly recommend) for igniting a passion for creative writing. As with all creative endeavors, sometimes the hardest part is the START. By providing a starter sentence or an inspirational prompt, you can help to spark an entire story. Follow these links to hundreds of "first lines" and story starters. Lego Writing Prompts from Homegrown Learners- This post provides numerous links on Lego themed learning including many Lego inspired writing prompts. Consider incorporating a visual aid or a hands-on activity into your lesson for a multi-sensory creative writing project. 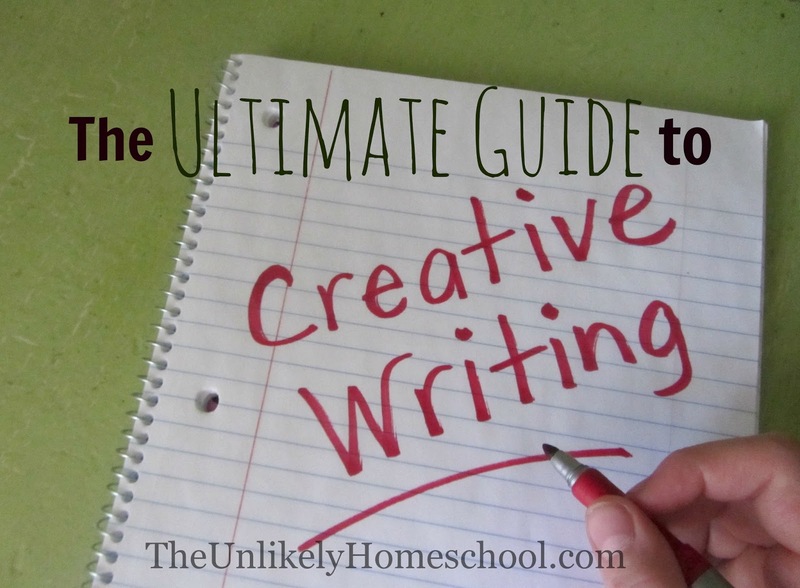 Summer Unschooling: Creative Writing- This post is jam-packed with some out-of-the-box creative writing activities. "Add On" Stories- All you need is a wordless book and some brothers and sisters to create a fun family-written story. Creative Writing Prompt Bag- Toss several items into a bag for story inspiration. Roll a Story- Use this FREE printable or THIS ONE and a set of dice to generate unique sentences. A love for creative writing can be nurtured in the most unconventional ways. Here are a few resources for sneaking writing in undetected. Writing Box for Kids from What We Do All Day- While the "box" mentioned in this post could be used for all forms of writing, the same concept can be used to create a box with a creative writing emphasis. Printable Comic Book Pages from Sweet Hot Mess- Sometimes writing is less intimidating when it is done within the small margin of a thought bubble. Create a Word Collection Jar from Imagination Soup- Cut out vivid words from magazines and place them in a jar. Allow your kids to refer to the jar for inspiration whenever they need a colorful word. Your kids can receive creative writing inspiration at the click of a button with any one of these FREE online writing prompt generators. They are all easy-to-use and completely kid-friendly. Wacky Headliner- Use a wacky news headline to create an over-the-top story. Writing Exercise for Children- Randomly generate inspiration for every aspect of a story. The Story Starter for Kids- Provides the first line of a story. Creative writing combines passion AND skill. You can't have one without the other. Here are a few tips and links to help you grow the skill while not squelching the passion. The Value of Published Books from Our Journey Westward- Over the years, we have self-published many books. It's been a fantastic way to put value to our words. Here's some tips on how to do it. Don't forget to check out my Creative Writing Pinterest Board for more ideas for wordsmithing. Follow The Unlikely's board Creative Writing on Pinterest. 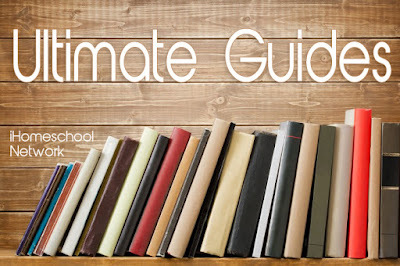 For more Ultimate Guides on all-things-homeschooling, be sure to visit iHomeschool Network.